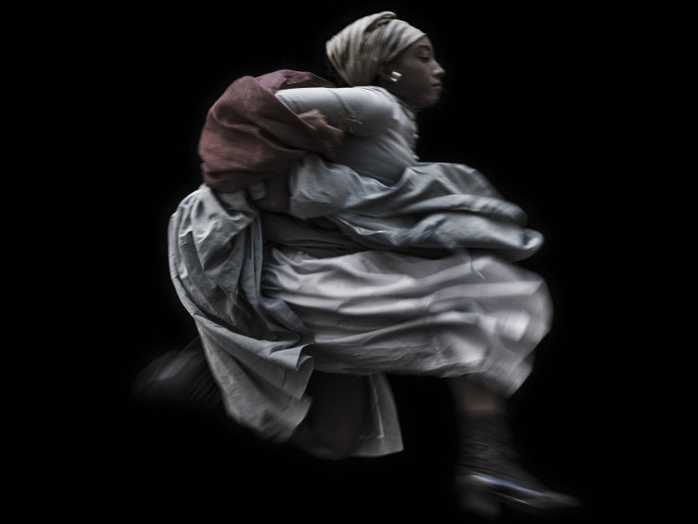 Ayana V Jackson, Wild as the Wind, 2015, archival pigment print. Courtesy the artist and Gallery MOMO, Cape Town. Political theorist Shatema Threadcraft researches concepts of freedom and the embodied black feminine subject. In this talk, she responds to concepts of ‘fugitive feminism,’ drawing upon her work in the field of African American political thought. Threadcraft’s book Intimate Justice: The Black Female Body and the Body Politic (2016) charts the troubled and incomplete path to black female intimate freedom and equality – a path marked by infanticides, sexual terrorism, race riots, coerced sterilizations and racially biased child removal policies. Her new book project examines necropower in the United States and the force of individuals, groups and organisations that institute unnatural death on the living. More specifically, she explores how race, gender and the politics of death have operated historically and how they operate in black communities today, how the politics of gender, sexuality and ability are implicated in the politics of death and how necropower is justified and contested in black communities. Shatema Threadcraft is Associate Professor of Government at Dartmouth College and a 2017–2018 Ralph E. and Doris M. Hansmann Member of the Institute for Advanced Study. She holds a BA in Biology from Harvard University, an MSc in Philosophy, Policy and Social Value from the London School of Economics and Political Science and a PhD in Political Science from Yale University. She was a Visiting Research Associate in the Department of Political Studies at University of the Witwatersrand Johannesburg, South Africa from 2009–2012. Francesca Sobande is a Lecturer in Marketing and Advertising at Edge Hill University, with a background in sociology and politics. Her work addresses issues regarding identity, ideology and intersecting inequalities in relation to digital media and markets. Francesca’s PhD thesis focused on online and media experiences of Black women. She has published work in the European Journal of Cultural Studies and contributed edited collections such as HBO’s Original Voices: Race, Gender, Sexuality and Power. She is a co-founder of the Yon Afro Collective. To puchase a multibuy ticket (£12.00 Full Price, £7.00 ICA Members) for Organising Fugitive Feminism, Shatema Threadcraft & Round Table of Fugivity please call Box Office on 020 7930 3647.